***, originally uploaded by Scatti di memoria. I frequently visit family and friends in the Valle d’Itria between Martina Franca and Locorotondo. This year I’m coming with my grandkids, aged 14 & soon to be 5. 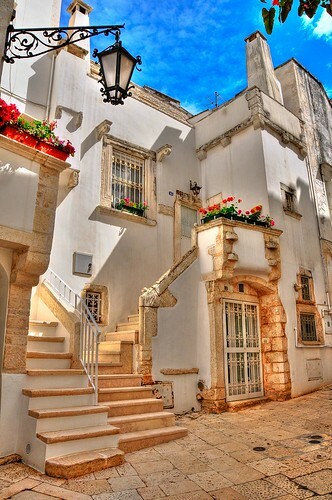 We will be in one of the trulli houses for 2 weeks and I know it would be nice for my granddaughter to have a friend to walk around Martina Franca, go to the beach, and get involved with the Italian life. Do you know any kids around the age of 14 who might be interested in emailing my granddaughter and becoming penpals, possibly getting together this summer? We will be there June 1 -13. We will be staying at the home of the wife of Doctore Michele Belviso of Bari, who recently passed away. Thanks for your comment! There is nothing finer than traveling with the family…and generations together. Buon viaggio. I will look around and share any possible pen pals I can find.